With cross-platform play being a hot topic in the gaming world at the moment, publishers are no doubt feeling more pressure than ever before to ensure that their games can be played across all major systems. Of course, system exclusives naturally steer clear of this mentality, and Nintendo has unsurprisingly confirmed that there are no plans to share its first-party games with other consoles. The confirmation comes from a recent financial result briefing Q & A, with Nintendo president Shuntaro Furukawa being asked about cross-platform possibilities on Switch. The question asked whether or not there would be any potential for the likes of Mario Kart 8 Deluxe or Super Smash Bros. 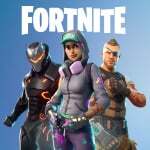 Ultimate to be offered as cross-platform titles, following the success of the ever-popular battle royale game Fortnite. Furukawa's response was to the point - and exactly what you might expect. "If publishers want to release cross-platform titles, and doing so would make consumers happy, then as long as it is technically feasible, we would want to support them. That said, we have absolutely no plans to offer any Nintendo games as cross-platform titles at this time." We've already seen that Nintendo has been more than willing to promote cross-platform play with third-party releases, with the aforementioned Fortnite being a well-documented example thanks to Sony's original reluctance to join in the fun. Furukawa's words suggest that this cross-platform support will continue throughout the Switch's lifetime, which is very good news indeed for fans of all systems. Are you happy to see games be offered as cross-platform titles? Or do you only play with other friends on Switch anyway? Let us know in the comments. Good, I don't want them too. Don't be Sega. Not that I have an issue with sonic games, but they kinda lost their identity a while back imo. As long as Mario Kart 8 Deluxe, Splatoon 2, and Super Mario Odyssey are all selling millions on Switch alone, then Nintendo has no incentive to offer them elsewhere. Wouldn't they have to offer 1st party titles on other systems before they could offer cross platform play? Or does the China Nvidia offerings count? Are any of those online multiplayer games? I'm glad they aren't panning to do it, but at the same time, it would be fascinating to see just how well Breath of the Wild, Odyssey and Mario Kart 8 (in particular these three) would perform versus the likes of Red Dead Redemption 2, GTA 5, FIFA and COD. What? They don't want to give away their biggest console selling point to Sony and Microsoft? This was unexpected. Exactly how can a system exclusive possible be cross-platform? Surely one implys the other can’t be, right? What idiot shareholder actually asked that question??? I've always dreamed of Splatoon and Pikmin on PC benefiting greatly from keyboard/mouse controls. Motion controls definitely beat aiming with a joystick once you learn how to use them but all I can think about while playing Splatoon is how much easier it would be to whip the mouse around to quickly target those behind you for example. Sometimes I feel like the motion controls fight me a bit more than a mouse would. Breath of the wild looks good at 60fps too. Hell, I was amazed at what HD did for skyward sword's visuals through emulation. But I get it, they probably profit a ton from selling their consoles. Nintendo Should NEVER release their 1st party games on Sony or Microsoft !!! Or i will DESTROY The games !!! WOAH, slow down dude. I know you don't mena it but thats just a wee bit harsh. It would feel wrong to have Nintendo games on other platforms. That said, I can understand the appeal from the investor side of things. Releasing MK8 on PS4/XBO would easily ship another 10 million copies. Tbh I think it would be more likely for Nintendo to create their own subscription/cloud service that would be playable on other consoles but would also require you to purchase the game. Of course, the second they did that Nintendo's own hardware sales would tank because let's face it, without the pull of Nintendo's software the consoles aren't that great. Lol, what is this, the Wii U days talking doom and gloom?? It should honestly stay that way. Nintendo software is better because they optimize the game for one console alone. That one console being their own allows them to take advantage of the hardware to it's maximum potential. With games selling millions on their own console, I'm not surprised if they never go 3rd party. The only discussion I've seen about cross-platform releases in regards to any of the big 3 is the on-going debate about whether MS first party games are truly exclusive when they can also be played on PC as well as Xbox. I never would even think about for a second Nintendo bringing its games, which are so tied to how it designs its hardware, to other platforms. @MysticGengar Don't Encourage Anti-Matter, he will reply to everything you say. We all know he hates SONY and he just goes on and on about it. Not sure why this question even needed to be asked. Why would they want to cross-platform the biggest reason people buy Nintendo consoles? @Bunkerneath @MysticGengar Nah, he means it. He'll sneak into homes like the Grinch and snap those discs in half. Of course they won't. Switch sales would drop drastically if these games went multiplatform. 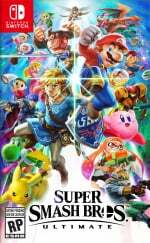 While the Switch exclusively has Mario Kart, Odyssey, Splatoon, Zelda and soon to be Smash Bro's, Pokemon and Animal Crosing the Switch will continue to sell well. That's a silly question. Every console manufacturer has in-house exclusives, and Nintendo has the best. Let's not change that. @Gamer83 I'm pretty sure this is all MS' fault b/c they bought Mojang, own Minecraft, and Minecraft is on everything, therefore a MS first party game is on competing consoles. And Nintneod saying this almost guarantees it will happen - see "no mobile games" b/c if Nintedo did make mobile games - direct quote - ""If we did this, Nintendo would cease to be Nintendo." This.... is a stupid article. I'm sorry I clicked on it. I guess from your reply it was you then. You know, I interpreted this question 4 different ways before realizing it makes absolutely no sense to exist. How is that even a question that Nintendo felt the need to answer? Where are the calls for God of War and Spider-man on XBox? Or MacOS X on PCs? Why is Nintendo the only company expected to put its proprietary applications on competing hardware? @rjejr Technically Nintendo doesn't make mobile games, they have a mostly-owned subsidiary they bought that makes mobile games with their IP. Like Diablo: Immortal, except they actually announce console entries in a timely manner. Technically if we're going to say DeNA games count as Nintendo making mobile games then we can say Nintendo also already makes Playstation and XBox games since GameFreak does (Tembo) and GameFreak is a mostly owned subsidiary through the weird laundering scheme that is TPC. @Mogster Investors tend to be idiots that don't understand where their money tree is rooted. Sure they could ship 10M units of a few games over the long haul, but they'd lose a chunk of the profits, massively increase expenses, and expose themselves to vulnerabilities major publishers face that they do not, making their stability and predictability investors rely on falter, all while destroying their "preimium brand" status that creates some of the pull to their products to begin with. But the short traders would love the 1 year boost before they bail. LOL. I'll be waiting for The Last of Us on Switch. Nintendo wants to make money selling their games, for their consoles, and with their accessories. That’s how it has been. As long as they keep making consoles, that where Nintendo ips will be. This shocks me. I’m totally surprised. I always forget about that quote. This is a bit different situation though. I don’t understand why they had to point this out. People still wanting Nintendo to go 3rd party because they are broke/cheap? @ilikeike technically water isnt wet, but i get your point. mkay. we been knew that. I'm sorry, but which dummy asked this question at the Q&A? Do they not realize that porting first-party titles would completely destroy Nintendo's hardware business? Those titles are the main compelling reason for people to buy Nintendo hardware! This is why I dislike investors - they only see the short-term money to be made and don't consider or care about the long term consequences. I Don't think there will ever be a day where a Nintendo game is on a sony or Microsoft console. Never gonna happen. @NEStalgia Even you can't argue Ntinedo doesn't make mobile games when they have their own page in the Google Play store. And when you go to the bottom of that page and click on "Developer Visit Website" it takes you to Nintendo.com. The developer listed for every one of those apps is Nintendo Co, Ltd. If you want to argue Nintendo the game making company isn't the same as Nintendo Co. Ltd well you have fun. And the reason Spiderman and GoW don't have cross-platform play is b/c they are single player. How many strictly single player games do you know of with cross platform play? That would be like wondering why Super Mario Odyssey doesn't have cross platform play. Obviously when, not if when, Nintneod makes games with cross platform play it will be games like Spaltoon and ARMS, not Metroid, Zelda or Mario. But it will probably happen. Not until after MS exits the console business so it's only Sony and Ninntedo left, and Sony lets it's home console games play on Ntinedo's handheld and Nintneod lets it's handheld games play on Sony's home console. It's pretty close to inevitable. Nothing major, think Pushmo. Though I suppose you'd argue that's Intelligent Systems and not Nintneod that wouldn't count either. And everybody who says it isn't, well they probably thought SSB for Wii U wouldn't have DLC either. Or Maro Kart would never get a season pass. Nintneod does whatever it wants, whenever it wants, and it doesn't care if it contradicts itself in the process. No big company has to care about lieing getting in the way of making money. And technically once Pokemon Go lets it's characters come into Pokemon Let's Go Eevee, well that is a form of cross platform play, isn't it? Not the same as Fortnite, but it's a start. @Galenmereth They don't have a hardware business in China. It would require Nintendo to release their third party games on non-Nintendo hardware first. But, they are getting on the whole mobile train just now, which was quite surprising to me when that happened, so I wouldn't be totally shocked to hear in the future that they were willing to put some of their core titles on other platforms too. Maybe VR for example. . . . Highly unlikely, yes. But never say never, I say. It means that they are/have been thinking about it. So can I expect Uncharted and God of War on Switch down the road? That's about the equivalent question this article is asking Nintendo. @Gamer83 It's always a different situation though, isn't it? Nintendo embracing, then drowning, in DLC is different than them making mobile games. They'll do what's in their best interests. Who's really holding them to their word anyway? All those old quotes are "Fake news". Have you not seen how much cash those mobile games make in each month? @Gold_Ranger Well exactly. Money is a very powerful force, especially for corporations by their very nature. Are you referring to the SSB for Wii U DLC quote? That's new, Nintendo has been looking down it's nose at DLC since 2011. @3rdParty When Nintnedo, and Iwata in particular, were bad mouthing mobile and free-to-start games at no point did they say, which would have been very easy for them to do - "We'll make smaller offshoot mobile games, but not our mainline games". See how easy that was? That's all they or he had to say, "we'll look into it". Instead he said - quote - "This is absolutely not under consideration,". There's not a lot of leeway there for smaller marketing type games in that remark. I had to read the NintendoLife "the sky is blue" article of the day. @MysticGengar The thing is, he does mean it. @rjejr Well the legal branding is its own thing. Xenoblade is Monolith Soft Ltd. Pokemon is Game Freak Inc. Kirby is HAL Laboratory. Smash is Sora Ltd. Yet Smash and Kirby are wholly Nintendo things, Monlith is 100% owned by Nintendo, Game Freak is >50% owned by Nintendo (half of that indirectly through their half holdings of TPC of which GF itself owns the other half....). Yet DeNA games that is merely a majority subsidiary gets listed as "Nintendo." Technically it's not a subsidiary, it's still publicly traded on its own, Nintendo's just the majority share holder. So it's really an outside company controlled by Nintendo. Through the subsidiary, DeNA games are more or less "licensed mobile apps." @BladedKnight No it'll happen....in about 10 years when the PS6 is doing 16K. Like if you want to play Mario Kart on XB1 you pay 60 dollars for 1 month play. And vice versa, play Gears of War on Switch also 60 bucks for 1 month play. Its crossplay but its obviously more cheaper if you buy it as a 1st party. I can see something like that happen, if i would support it is anotherthing. Is this still a discussion? Even with Nintendo seeming to reverse its most recent unfortunes, this is a real discussion? Cross Platform with what? The 3 people who still play online on the WiiU?! "U goin 3rd party yet?" is not a question I expected anyone to ask with the success of the Switch. @dew12333: Presumably one that only has interest in gaming as an investment and not as a hobby. Sad but very possible. You do relize first party is making games for your own console. You guys have a legitimate point. I hate sony too, but at least I don't ramble to everyone about it. @MysticGengar I tried having a conversation with him about why he hates 18+ games. It didn't work. So we aren't going to stop making good games and go f2p? Good. If there was ever a time to do it it was the Wii u days. I don't either, but I can respect what they've done for the industry. Great news.... see SEGA, what they've become.... don't be like SEGA, Nintendo. You just beautiful as you are.. Even IF Nintendo for some horrible self destructive reason wanted to put their 1st party games on another console, almost their entire list of 1st party utilize their console's specific hardware in each generation. Most of the time the whole game would have to be changed in some way or significant features removed on each console generation. Maybe the Switch to a lesser extent, but the unique features are still there. @rjejr I don't think this stance is something they will be changing anytime soon. The simple fact remains that there are extended times when the only reason to purchase a Nintendo console is to access Nintendo developed IP. If they give that up, then they might as well become a third party publisher, ala Sega. What I can see happening is similar to what happened with Game Freak (Second Party developer), being allowed to release a cross-platform game that doesn't carry a Nintendo IP with it (except maybe as an Easter egg). In other news, McDonald's have no plans to sell the McRib sandwich at Wendy's or Burger King, and Apple don't plan to let Samsung make Galaxy iPhones. Glad we cleared that up. Was this seriously asked recently or something? Of course Nintendo doesn't and shouldn't do cross-play with it's first party titles, that would mean people could get those first party titles on devices that isn't Nintendo, thus making them non-first party. If Nintendo goes full mobile in the future. Then there would be a marked for older generation games on stationary planforms. Like the PC or ps4. That would give Nintendo a extra income on old games that are not marked on the current platform. But cross platform on games made for the current platform? Not a chance. Offering their titles on PC would not be the worst idea ever. But not on other consoles. And everyone criticises Sony, yet Nintendo can do no wrong? Double standard hypocrisy! Gives Sony a hard time over fortnite, withholds 40 yrs of intellectual property behind a miserly online subscription. But this is the Nintendo life trolli mean comments section so bring on the flames and burn burn burn the guy on the internet that doesn't agree with you. I think Furukawasan's stance is PERFECT just so long as "as long as it's technically feasible" doesn't become a cop-out to get out of putting a little elbow grease into making the thing work. I think the "open 3rd, closed 1st" is the perfect position to hold, and hopefully it becomes just the default expectation across the whole industry. @rjejr no. I was talking bout the quote at the end of this article. HA! Cross platform is great for 3rd parties! But we need first parties to keep exculsives or they'll be shooting themselves in the foot! I've always thought it would be a good idea to have cross-platform play for the classic games between Switch, PC, and Mobile with the online subscription. "At this time" they didn't rule out the idea. That's nice of them. If Sony won't put God of War and Spiderman on other consoles and Microsoft won't put Forza and Halo on other consoles, why would anyone expect Nintendo to put their games on other consoles? Someone compared trash like Fortnite with games like Mario Kart 8 and Super Smash? That's insane. Cross platform play of Nintendo first party titles on other systems will never happen but it would be nice if Nintendo does have cross platform play between their Wii U and Switch ports though for example having the Mario Kart 8 player playing alongside the Mario Kart 8 Deluxe players or in games in Hyrule Warriors between the two consoles or even in games like Donkey Kong Country: Tropical Freeze where players of both versions could co-op play together. Heck even in games like the upcoming New Super Mario Bros. U Deluxe for Switch, why not allow Wii U players who already got that game and all its DLC play co-op alongside the Switch player who are new to the game. That I could see as major selling point for Nintendo, as for cross play for other platforms definitely won't happen though for just Nintendo systems that would be great. 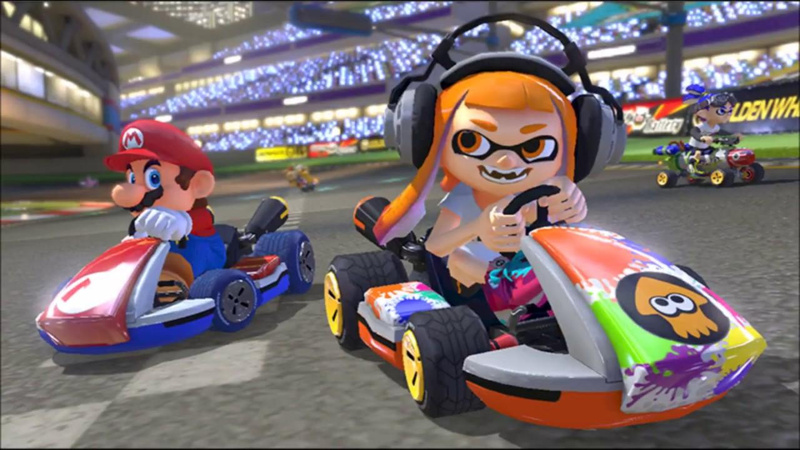 Nintendo should add cross-platform support for Mario Kart 8 deluxe and super smash bros. deluxe. Nintendo could make a lot of money from this. and these games would become more popular then ever. and it can make Nintendo the number one super power in gaming once again. So you're saying if Spider-Man and GoW had multiplayer, then they could have cross-platform play? Impossible, they are both exclusive to PS4. @NEStalgia I mean there are 3 majority major owners of Dena. Only one of them is a gaming company though which is probably why Nintendo is listed on their games. And out of the 3 Nintendo has the smallest ownership as well. This is the argument made against dedicated servers for those games, cause why should there be dedicated servers for games that are system-exclusive? I personnaly bought a Switch mainly because it allows me to play "console" games on the go. Having to take the train to and back from work everyday (45-60 min ride) this was the main factor that drove me to the console. Of course, Zelda and Mario Kart played a part in my buying decision, but I would say it's more of a combination of all of these things that made the package attractive. Would a system like the Switch still sell if it didn't have "exclusives"? Probably, because of it's hybrid nature, but a "regular" console wouldn't. And besides, all systems have "exclusives". It's why Sony and Microsoft are buying so many studios to develop 1st-party content. You don't see Sony or Microsoft porting their games to other platforms (unless PC, which sometimes can get some ports from both sides - More from MS than Sony, though).